Competing in the equestrian world involves large amounts of time with horses and offers little time left to work on anything else, let alone a widely popular barn management and community app called PonyApp. 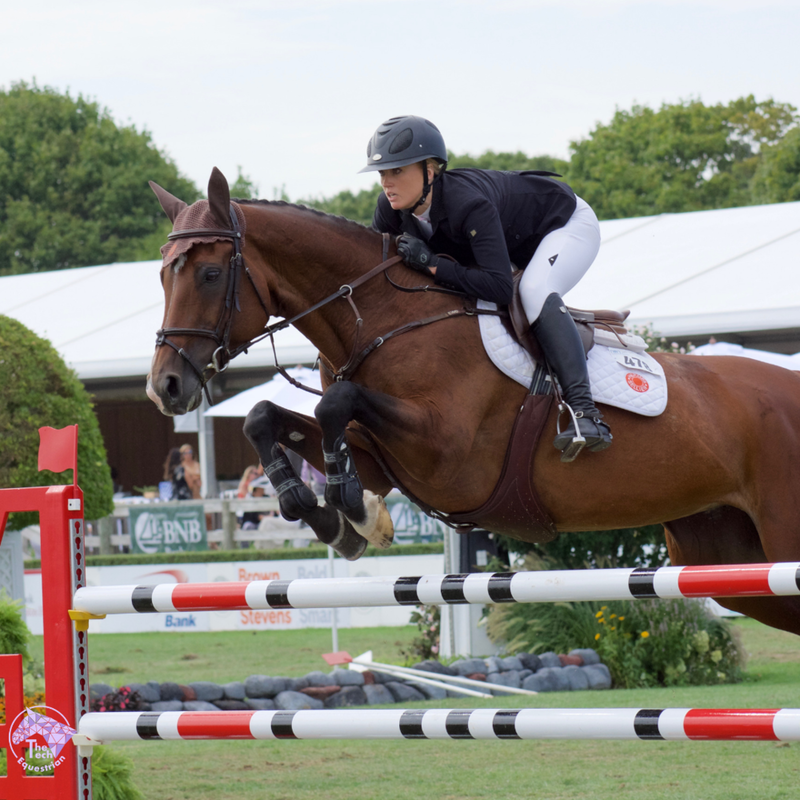 And conventional is not how to describe Lindsay Douglass or Lucy Davis both highly accomplished grand prix riders and talented entrepreneurs. To learn how they compliment each other from riding to app demands and what makes it all work, The Tech Equestrian caught up with them at the riding headquarters of Old Salem Farm in picturesque North Salem, NY. Grand prix Sunday at the Hampton Classic is THE social event of the summer for many well-known celebrities, business leaders and media personalities. They gather for the fine-dining, table décor, fashion and oh yes, to watch some of the world’s top international grand prix horse and riders compete under sunny skies and warm sea breezes. This year marked the first time Lindsay Douglass was entered in the 1.60m class with her equine partner, Butterfly Tibri Z (barn name: Butters). 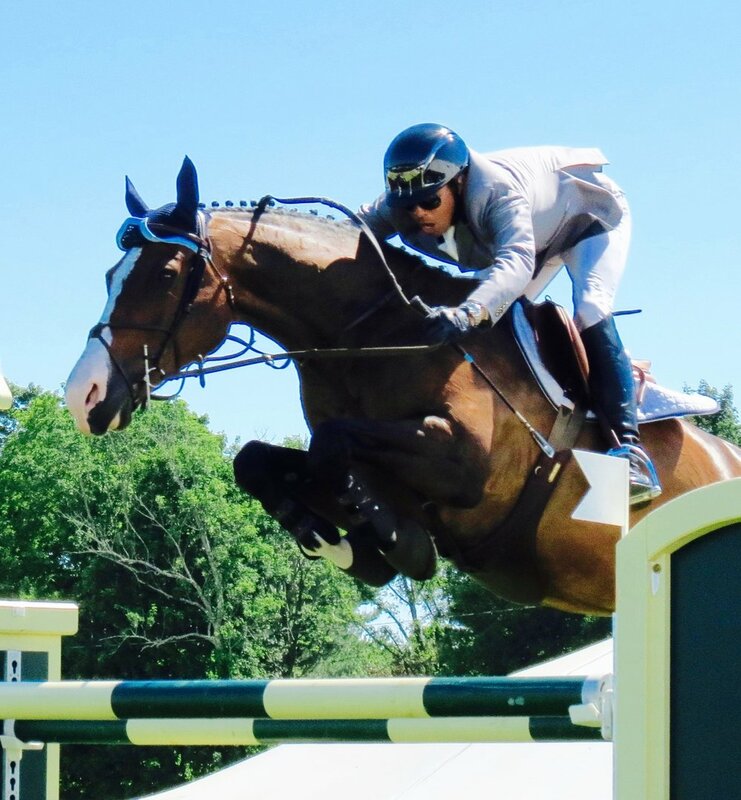 “I walked the course with Lucy and generally we stick to our walk plan, however the Hampton Classic was an exception after the first 10 riders did not have clean rounds,” Douglass recalled. “There was one line where some people were doing seven and others were doing it in nine; and so we decided to change the plan in a couple of places and it ended up working out well for both of us.” So well in fact that Lindsay and Lucy were two out of the five riders to go clear in the first round out of a total field of 34. 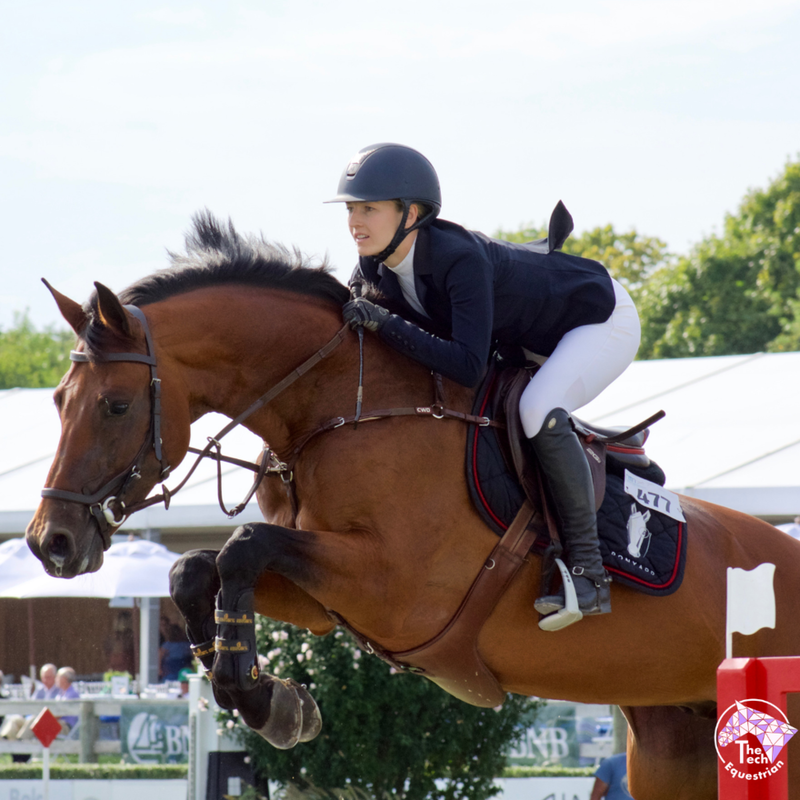 Douglass explained that she was constantly thinking about her friend Karen Polle and With Wings who won the class and her first big 4* two years ago, especially as the bell sounded, “I thought I could gallop, have the jump-off of my life, win the class and die happy. But I also realized what an underdog I was and any success in the jump off would be icing on top.” Douglass and Butterfly ended up placing 5th in the class. “In the jump-off, I just wanted to go for it a bit, but we still have some steering to work on and we have to get used to being in jump-offs,” Davis shared. Davis and Caracho were clear with a time of 42.47 coming in third behind Shane Sweetnam who was clear at 41.24 and McLain Ward and HH Gigi’s Girl with a fault-free round and a time of 39.32 to take the top spot. “However, given the entire experience, I felt like I had already won, since it has been a two year build up to that point,” she said proudly. The Stanford Red Barn is home to the Stanford University’s prestigious riding program. Both Lucy and Lindsay attended Stanford and rode at the school. “We’ve been friends since we were 15 years old, but didn’t become close until we started the PonyApp senior year project,” said Douglass. The field of PonyApp followers and users is growing with a dominant presence on Instagram with 43,900+ followers and app users are at 47,000+. “PonyApp is set for some big changes very soon and one of the areas we continue to work on and what’s done really well with the younger demographic is not only the social media but the merchandise aspect,” pointed out Douglass. Initially the merchandising was a side project and something fun for Davis and Douglass, but that has proved a popular aspect of the business. With that momentum and mindshare, the team is focused on providing a more educational side of PonyApp. “Right now we feature a ‘spotlight’ section – content from World of Show Jumping, Horse and Style and Horse and Hound articles along with PonyApp original content. We’re looking to build that out to connect young riders with information and tools to help them improve themselves and hope to have a positive impact on the growth and health of the sport,” said Douglass. There are some exciting new developments to PonyApp that will give it a more social element. Right now PonyApp is a place where people can record everything important for the day-to-day care of their horses, but plans for PonyApp 2.0 will be a place where equestrians will be able to connect with each other, learn from top riders, and really engage with the greater equestrian community. All of the main changes including social elements and horse profiles will be completed in the next 6 months and released in stages with exciting social features coming out soon. The team plans on providing more merchandise options, especially after their recent trip to China. Douglass recalled a time that she and Lucy were in the office one afternoon working on a not-so-fun project and she had an idea for the Pony Pageant and PonyApp Top Models. The contest ended up doing extremely well, achieving 530,000 page views and 22,000 entries with an overwhelming amount of emails and engagement. “In a way it was what inspired our recent pivot to PonyApp 2.0,” said Douglass. Davis and Caracho compete at The American Gold Cup at their home stable of Old Salem Farm in September. If there is one thing you can count on with this dynamic team it is their dedication to the sport, their business, and knowing how to balance the two with mornings for the horses and afternoons for PonyApp. There may possibly be some work that goes later in the evening, depending on the project or promotion to keep the Pony Freaks happy and engaged! Nov 5 Support a Horse Charity!